For the first time in many years, The Floyd Country Store is pleased to invite the community to participate in a Gingerbread House Contest! Exercise those creative baking skills and bring family and friends together to create a sweet work of holiday art. The structures can be simple or ornate, and decked with your favorite candies (we’ve got barrels of them if you need inspiration). Participants in the contest will bring their creations to the Floyd Country Store on Saturday, December 22 between 4:00 and 6:00pm, displaying them in front of the stage. The houses will be admired and the winner announced shortly after 6:00pm, before the Old-Time Dance with Jackson Cunningham & Nobody’s Business. The grand prize winner will receive a $50 gift certificate and will be named the 2018 Gingerbread Contractor of the Year. 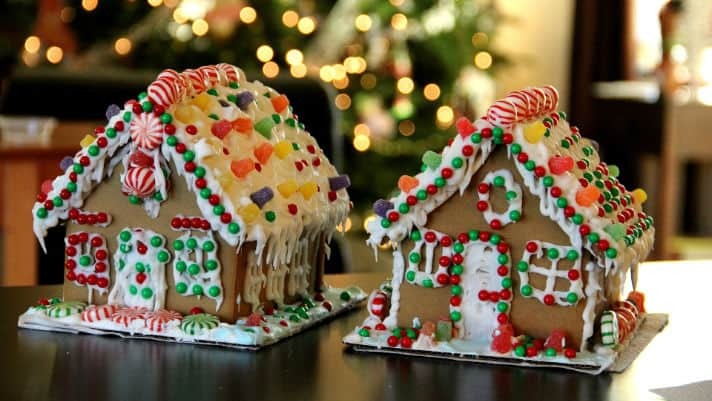 Need a recipe for gingerbread or a template to help with your house? Here are some resources to get you started! We request that participants register in advance, either in the store or online, so that we know how many houses to expect. We hope that you will join in and share your creations with us!